Either that or you’re pregnant. Pregnant women have been known to crave dirt. Some say that it’s because they need calcium. As late as the nineties, some markets actually sold dirt for this kind of human consumption. And gaining calcium might still be the case for those currently knocked-up, but dirt also seems to be a good way to detox internally. It was once thought that only humans and macaws ate clay, but recently researchers have observed more and more species doing it. They notice, especially, that animals do it in seasons when fruits aren’t yet ripe. Unripe fruits and berries contain alkaloids. They have been found to be toxic to humans and animals alike. Certain people today smear clay on unripe potatoes, which contain solanine, a bitter and toxic alkaloid. Clay contains kaolin, which neutralizes the bitter taste, and takes out the alkaloids, making the food safe and tasty. When people get a craving to eat clay, they’re acting on ancient, and correct, instincts that tell them they’ve been poisoned. Lysine is an amino acid that everyone’s body needs, but can’t manufacture. Methionine is another. Beans have lysine. Corn, wheat, and rice, have methionine. If you’ve thought of, and are now craving, a meal that contains all of these things, it shows that you live somewhere on Earth within walking distance of a burrito. To be fair, there are plenty of less popular cuisines that blend those same foods together. They do this because the taste combination is incredible. They also do this because the combo of foods substitute for meat pretty much perfectly. 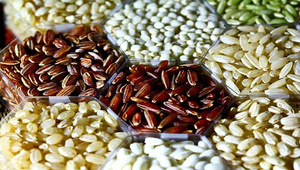 The flavor and nutrition complement each other so well that, for a long time, it was thought that unless some combination of rice and beans were eaten at the same meal, the body couldn’t absorb the amino acids properly. Since then it’s been shown that it’s not necessary to combine the two in the same meal, but both are needed and the body craves them both the same way it might crave, say, a nice juicy steak. This means that our body makes us crave not only certain food, but suggests certain food combinations that give us complete nutrition. Our cooking isn’t as inventive as we think. There are quite a few reasons why spicy foods and hot climates go together. Spicy food, especially of red peppers, triggers immediate sweating. Generally, when you sweat, you don’t feel cool. The body sweats only enough so that it doesn’t overheat. A sweating person is still warm and uncomfortable. They’re just not dying. Eating food with capsaicin, though, triggers sweating above and beyond what is needed to keep the body from overheating. Capsaicin stimulates receptors that sense heat in the mouth and along the mucus membranes of the nose. The body sweats everywhere, trying to respond to the heat and flush away the irritant, and the person eating the food finally feels cool when they sweat, instead of just sticky. Addison’s disease is a disease of the adrenal system, often brought on by an attack from a person’s own immune system, that causes the adrenal glands to produce too few steroid hormones. This can cause weakness, abdominal pain, and can even cause blood-pressure crashes that end in coma. One of the hormones regulates salt excretion, which causes people with the disease to get rid of too much salt, and have extreme cravings for it. That’s pretty straightforward. Stranger, though, is their craving for licorice. 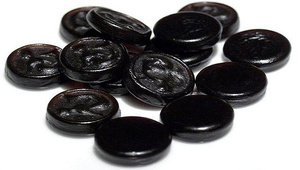 Doctors couldn’t account for it, until they saw that licorice contained glasorisic acid, which causes salt retention. Without having any idea as to why they might want licorice, patients gravitated toward a food that had substance that relieved their symptoms. Tea is not the bland, inoffensive leaf stew that day-time TV commercials make it out to be. It is out to get you — with tannins. These are a kind of astringent that scours everything from one opening in your body to the other. They’re also found in coffee, just waiting to scrub you out until you get sick with a digestive disorder. They have a dry, bitter quality that the body is supposed to interpret as, “Don’t drink this, dummy!” Sadly, people overcome that. Happily, they instinctively know how to cope with it. Milk protects the throat from tannin, and consequently cuts the bitter taste. The fact that we can tolerate milk at all, as adults, is its own kind of nutritional adaptation. Feeding milk to adult animals often makes them sick. Lactose intolerance is still a problem in a lot of humans. Milk drinking in adult humans has happened relatively recently, so it’s doubly impressive that, as soon as we developed the ability to tolerate milk, our taste buds lead us to ways that it can protect us from other dumb stuff we swallow. When I was pregnant with my second child, I craved ice daily! For some reason, people who are anemic tend to have a voracious craving for ice. Whenever the iron levels in their body increase, the craving goes away. This is one of the cravings that isn’t quite explainable, since chewing ice doesn’t increase a person’s iron level. It could be, though, that patients are seeking to relieve their symptoms and not their core deficiency. With iron deficiency comes inflammation, and with inflammation comes soreness. Anemic patients especially tend to get inflammation in their tongue and mouth area. 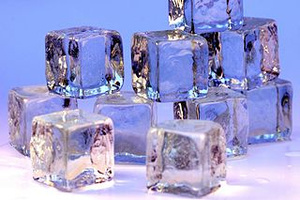 Chewing ice can relieve the pain before they even know that they have it. 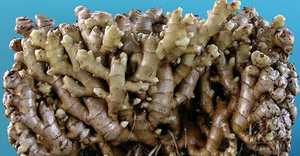 Ginger is one of those herbal medicines that make the rest of herbal medicine look good. It suppresses nausea, reduces pain, quiets the need to cough, clears head aches, and flavors food enough to make it tolerable to the queasy. Doctors found, though, that even when they weren’t sick in any measurable way, some people craved ginger. Studies revealed, though, that ginger reduced clotting that might lead to heart attacks, that it lowered cholesterol, and that it strengthened heart muscles. Considering how much damage it might have done to people who see results from ginger and then put their faith in unregulated herbal supplements, though, and it would have to do heart surgery itself to break even, socially. Let’s say you’ve exhausted the painkilling power of ginger and moved on to manufactured painkillers. If one of them doesn’t get the job done, reach for a cup of coffee. Caffeine doesn’t just cause headaches via withdrawal. It’s been shown to boost the power of painkillers, and stop migraines from setting in. In fact, while some health professionals warn people away from coffee, others say about two cups a day are good. The stuff can decrease both physical and emotional pain, since it’s a mild stimulant that can decrease mild depression. Some studies show that it can actually help people sleep better, and get them on a better sleep cycle, since it’s generally a regulated habit that can get someone up at a certain time every day. Basically, this isn’t the devil-brew that many doctors make it out to be, which is why so many people crave the kick. Chocolate took most Western nations by storm, and looking at it today, it’s easy to think you know why. It has all the necessary components. It’s sweet and fatty and the perfect dessert. Of course, the cocoa beans that first became popular weren’t any of those things. Although they were dressed up different ways, for a long time chocolate was relatively coarse and bitter. Originally it was mostly served with spices as a drink, or over snow. While early Americans did occasionally sweeten it, it took a while before Europeans thought to add sugar to chocolate, and even longer before they added milk. It was often served over meat as a savory substance. So why was this flavor so very, very popular? Some people point to phenylethylamine (PEA), the so-called “love chemical” that people produce when they’re in love or feeling especially happy and excited. Researchers point out that PEA breaks down to quickly in the body to actually affect the way that people act, and that other food, like cheese, contains more PEA anyway. A more likely story is the cannabinoids that chocolate contains. These chemicals, related to the THC found in marijuana, trigger anandamide, known as the “bliss molecule.” This triggers a high of happiness and well-being that a lot of people feel after eating chocolate. Researchers point out that most people would have to eat pounds of chocolate to get the same high as they would from pot. Chocolate also contains theobromine, a compound similar to the caffeine that gets people addicted to coffee. 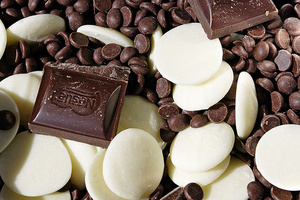 Chocolate, as it turns out, is a bubbling brew of 380 chemicals, a bunch of which are known to have an effect on mood. It’s a darling little meth lab of feel-good chemicals in a heart-shaped box. Forget alcohol or tobacco, this is the drug of choice for pretty much everyone. So, with that I am going to take some extra calcium each day and enjoy my fish as well! I hope this information was beneficial to you! This entry was posted in Diet & Nutrition, General Health Matters, Healthy Reminders and tagged balance, body, Calcium, chocolate, coffee, Conditions and Diseases, cravings, Dairy product, Dairy Products, Fish, Food, foods, health, healthy living, imbalance, Milk, Pregnancy, Specific Substances, vitamins.